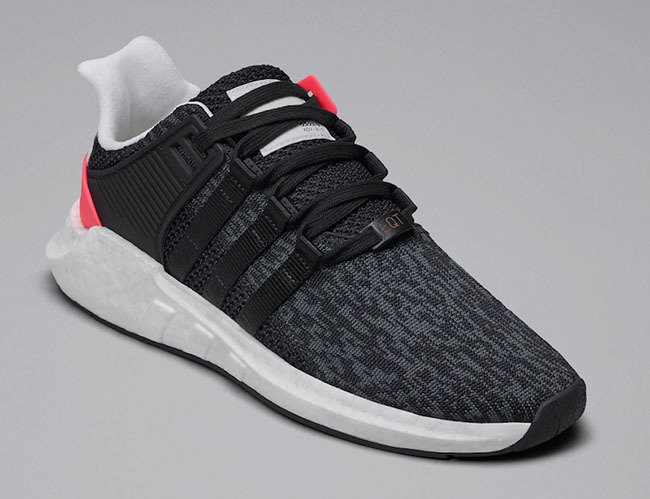 adidas Originals will launch the adidas EQT Support 93/17 which commemorates the 25th Anniversary of the Equipment performance line and will release during 2017. 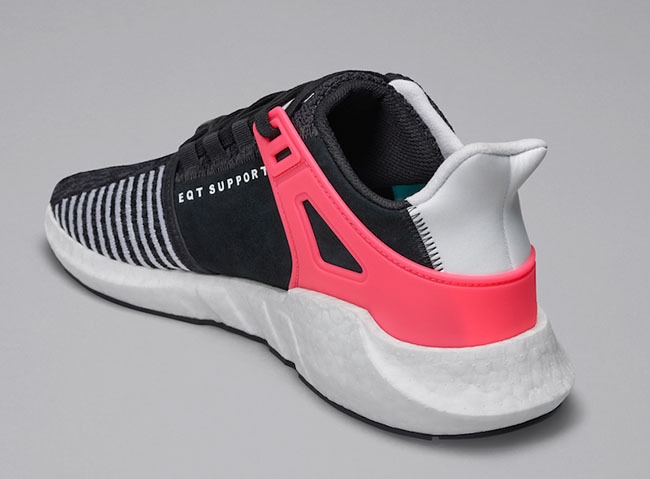 The EQT Support 93/17 changes the original look of the EQT Support 93 with an aggressive design language that also combines authentic Equipment materials with an uncompromising modern look. 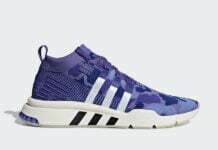 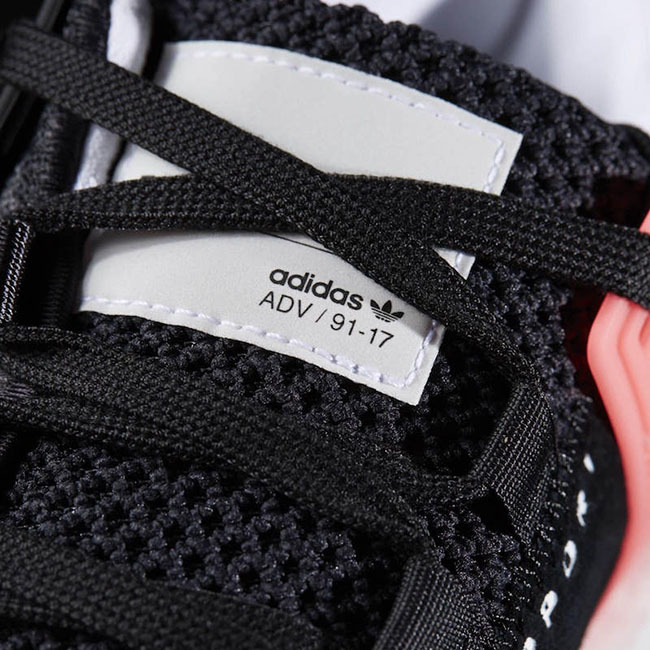 Using a woven knit upper in a pixelated ‘Noise’ motif is fused with nubuck panels while the Three Stripes is done in webbing optics. 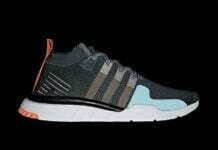 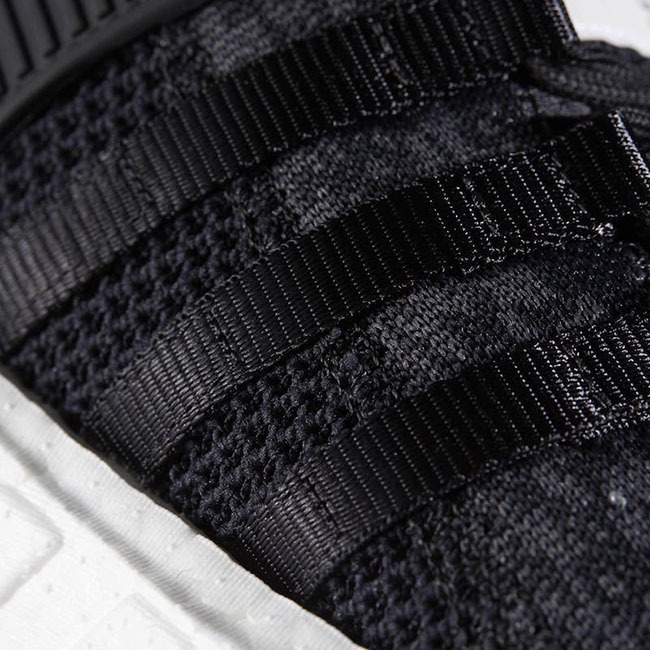 Embroidered detailing and a contrast heel finishes the aesthetics of this EQT. 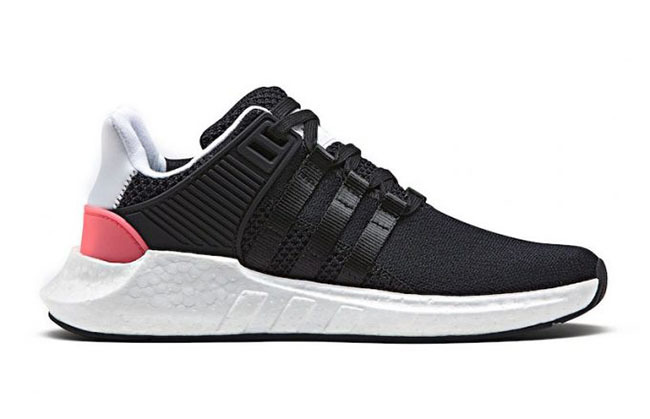 Looking closer at this adidas EQT, they feature a new and bright color scheme while Black covers the base and Turbo Red runs around the heel counter. 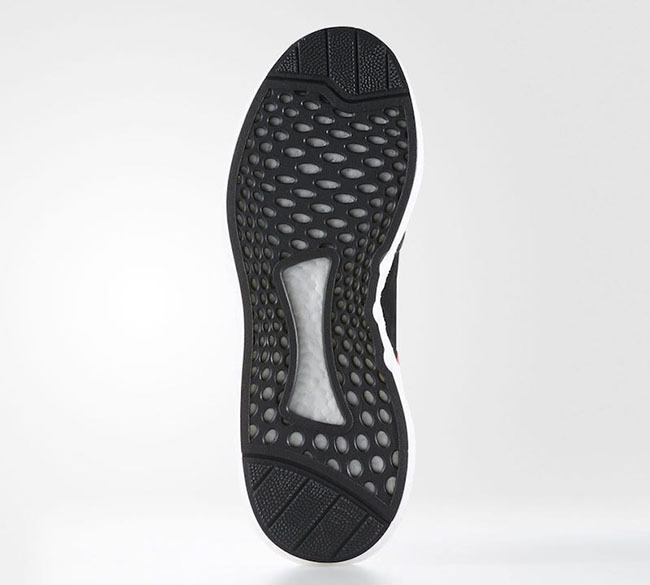 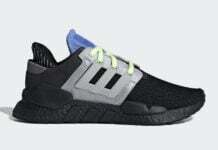 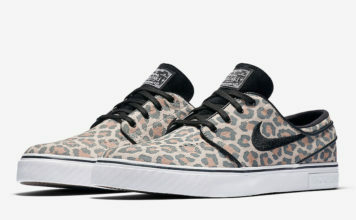 In addition, we have White on the heel, liner and Boost midsole while Black lands on the outsole. 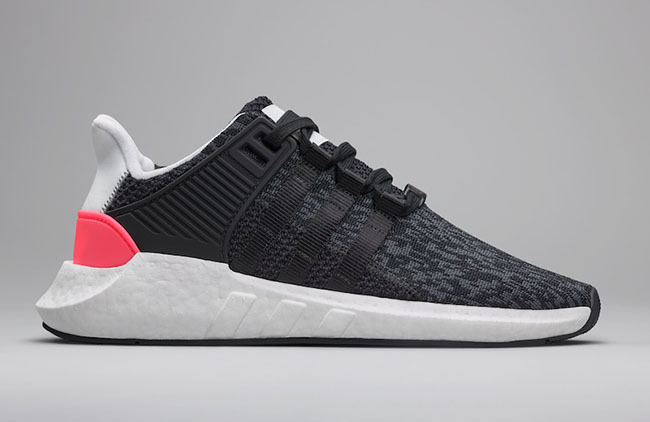 The adidas EQT Support 93/17 is set to release at select adidas Originals retailers on January 26th, 2017. 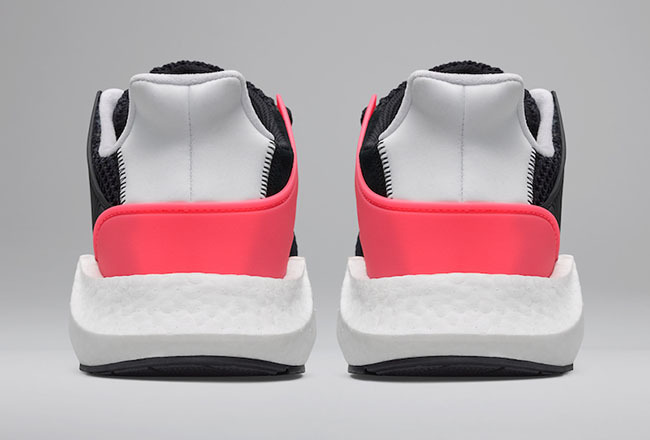 Continue to scroll to check out more images which will give you a detailed look. 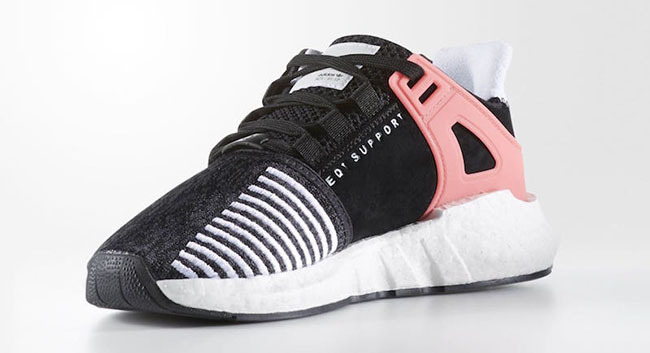 Make sure to check back with us for continuous updates and visit the comments section with your thoughts on the latest modified EQT. 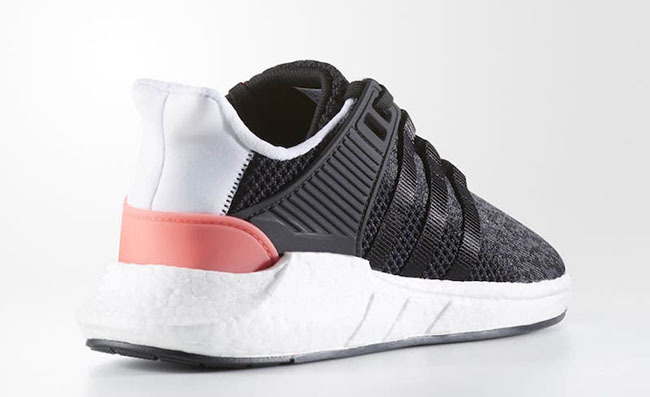 Update: The adidas EQT Support 93/17 will officially release at select adidas Originals retail stores on January 26th. 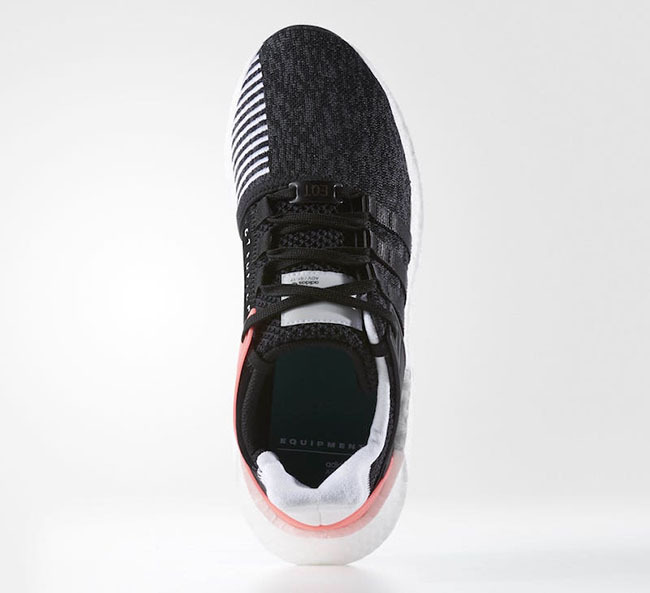 Call is the 93/17 but it says 91/17 right on the tongue, you’re very smart.